So while I expressed a more “big picture” concern for the always-online functionality of SimCity a couple of weeks ago, it turns out that the far more immediate concern was…well…the far more immediate concern. Much screaming and wringing of hands has taken place in the week since SimCity was released, first about its initial “midnight launch” seeing hours-long delays for those who purchased the digital-only copy. But that was a mere harbinger for the true disaster waiting in the wings for EA Games and Maxis’s joint production. Simply put, even as I write this, SimCity‘s online functionality is still in serious flux. Or seriously fucked, whatever your preference. The full details of this whole public relations nightmare can be found at just about any gaming site (Another Alex, Mr. Navarro, has a great analysis), so I’ll be brief: They launched with a paltry number of servers. It was not even close to being nearly enough for an always-online game that encourages marathon-like sessions. EA claims they had no idea that the server load would be like this, which is an awfully strange comment to make if you are in the business of making successful games. It’s like the ice cream man stepping into an elementary school and only taking a single box of popsicles. It’ll probably never be publicly known what their metric was, if they had a metric at all. Pre-orders would have been a good starting point, right? I don’t know. Maybe assume that every copy that’s printed or downloaded will actually be played? I mean, I’m sure I’m underestimating the complications and considerations involved in a major game launch, but underestimation seems to be the mistake du jour. EA, of all companies, should have known. And if they couldn’t figure it out from their own experience, they had last year’s awful Diablo III launch from rival publisher Blizzard to serve as a cautionary tale. Instead, they managed to anger the die-hards, scare off the fence-sitters, and prove the nay-sayers right in one fell swoop. Considering how short the life-span of a game is, especially an always-online one, this is a big blow to take. EA is actually going to give away a free game as part of the campaign to wipe the sixteen tons of egg off their faces, which gives you at least some idea how bad it’s gotten. A publishing giant sometimes portrayed as the Great Satan of Gaming has — for the time being — been humbled. I guess it would all be worth it, and the initial discomfort forgivable, if the game were amazing when we were actually able to play it. And in the few hours I’ve managed to log, it is a solid…okay. The graphics, details, and mechanics are all very cool. But the humor of the older games has been stripped away. The maps are far too small. The multiplayer aspect is more necessary than optional. 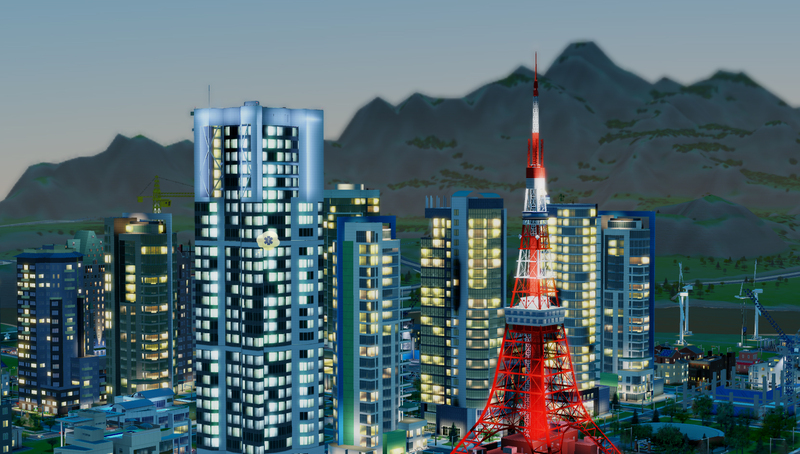 And it seems like a Mayor is pushed into developing one of a handful of cookie-cutter cities and sim-financially punished for coloring outside the lines. In other words, it seems almost exactly like my main gripe with Diablo III: that you are forced to play a certain way to succeed. Especially unforgivable in a game like SimCity where diversity in play-style was once a hallmark of the franchise. Right now, I find it interesting that my biggest complaint with these two huge games returning is not that they are always-online, but that they simply aren’t as much fun. Tags: EA Games, Electronic Arts, gaming, llamas, Maxis, reticulating splines, Sim City, SimCity, video games. Bookmark the permalink. That sounds pretty damn cool, and at this point, a far far better option. At this point, elective root canals sound like a far far better option.